Harvey unloaded around 33 trillion gallons of water in the United States, the weight of which is capable of bending the Earth’s crust. From satellite data, it looks like this is what happened in Houston. Scientist Chris Milliner of NASA’s Jet Propulsion Laboratory tweeted a map with GPS data revealing Houston has been pushed down by around two centimeters (or about 0.8 inches). Milliner’s map included Nevada Geodetic Laboratory data revealing the area around Houston was actually pushed down because of the weight of all the water from the tropical storm. One gallon of water weighs around 8.34 pounds, so if Harvey dumped 33 trillion gallons of water, that’s about 275 trillion pounds. It’s not the first time scientists have documented how the weight of water can alter the land. The Altantic cited a 2012 study focusing on the Himalayas that found a seasonal flux in the mountains’ height as water fell and then made its way down the mountains into Asian rivers. They also noted a 2017 study found “vertical surface displacement [with] peak-to-peak amplitudes” of 0.5 to one centimeter in the Sierra Nevada mountains. 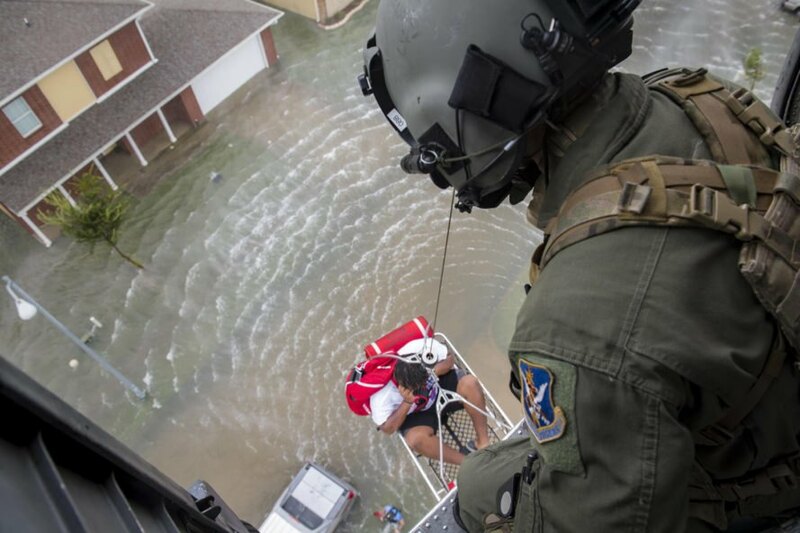 The Atlantic suggested the changes around Houston could be seen as a “fast-action version” of what takes place in mountain ranges during the seasons. The change could be due to soil beneath GPS stations compacting because of the weight of the water, Milliner said. But he thinks crust deformation was the main means of the change, since some of the GPS stations are on bedrock and also saw the depression. 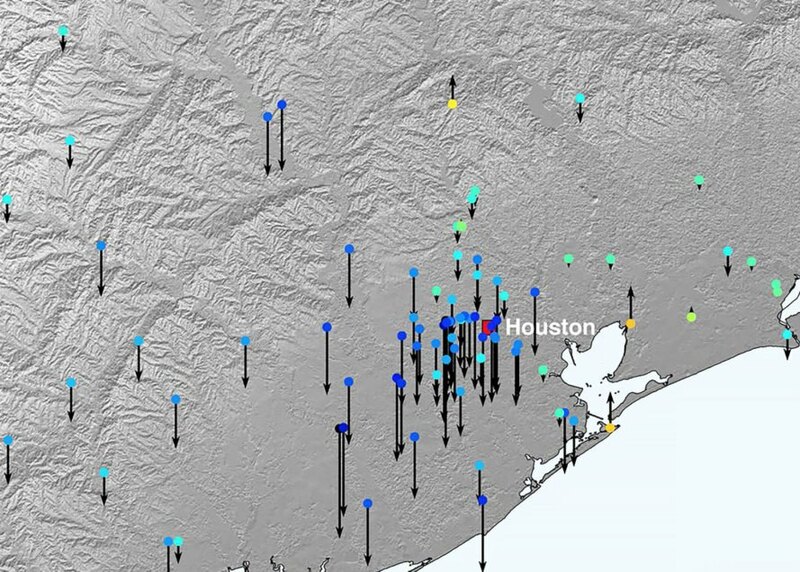 The ground has already been sinking in Houston, because we’ve pumped groundwater out of the city’s aquifers, according to The Atlantic. Milliner clarified the phenomenon he saw after Harvey is in addition to subsidence the city has experienced. Scientist Chris Milliner shared a map with GPS data showing what could be some of the impacts of Harvey on the Houston area. Harvey dumped around 33 trillion gallons of water. The weight of that water may have flexed the Earth's crust.